North Carolina's Outer Banks Aboard the "Tuna Duck"
During the cold months, a deep sea fishing charter off North Carolina can yield excellent catches of yellowfin tuna and bluefin tuna, along with the fiesty fighter and extremely tasty fish called wahoo . Another fun-to-catch fish is the king mackerel . It makes a great smoked fish dip and is a good fighter. An angler aboard an offshore charter October - March can look forward to filling his or her freezer with yellowfin; catches of 2 to 3 hundred pounds per day are not unusual. The solitary swimming wahoo will often add to that amount. We expect to see bluefins show up around November and last through the middle of March. The Tuna Duck specializes in jigging and popping for bluefin. Anglers are welcome to bring their own gear for this particular fishery if they wish, but we have the necessary equipment on board as well. 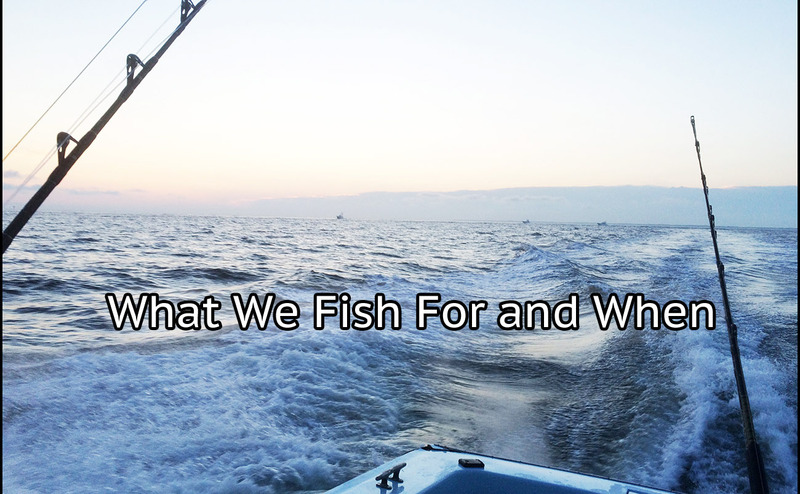 Cape Hatteras fishing charters in the early spring should bring catches of yellowfin, wahoo, and dolphin (mahi) . By this time, the blue marlins, white marlins, and sailfish should be showing up in the gulfstream deep sea fishing waters off Hatteras. 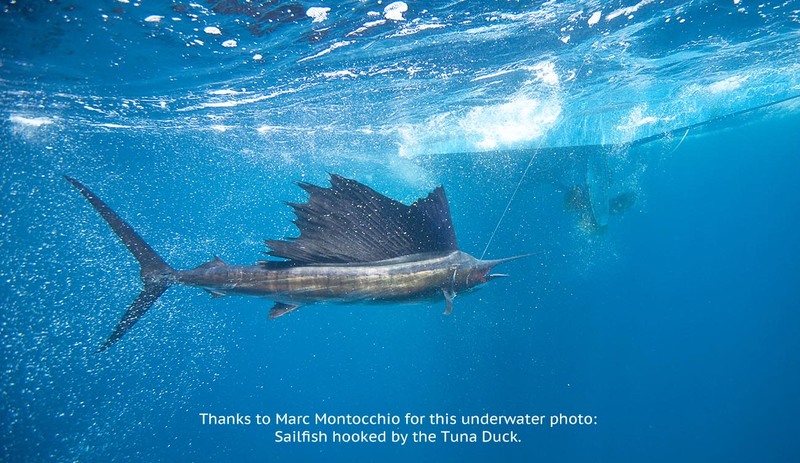 fish for the table: dolphin (mahi), scattered tuna, and wahoo and the excitement and thrill of catch and release: blue marlin, white marlin, and sailfish.